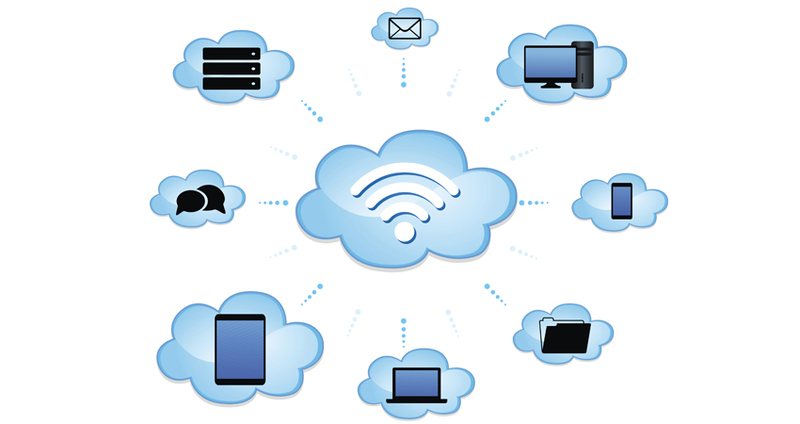 In an effort to provide the best possible wireless service to a wide variety of users and devices, NYURoam Wireless offers several potentials ways for a device to connect, depending on the type and age of the device and the components inside it, location, operating system, and the user’s role at the University. In addition, NYU is part of the global Eduroam network that enables visitors from other universities to connect to wireless resources using the same credentials they do at their home campus. Unfortunately, providing specialized service as well as support for older and unusual devices means the number of potential avenues to NYURoam — known as SSIDs (Service Set IDentifiers) — can be confusing, especially if you have previously connected to a specific SSID that may no longer be the best suited for what you want to accomplish. In this article, we’ll examine NYU’s wireless SSIDs, Eduroam, and how you can configure your device to make sure it’s connected to the fastest, best-suited of these options based on your device, location, and role. nyu is always the SSID to which you should connect, if you can. It is the default SSID for the majority of users and devices at NYU and provides the most reliable, interference-free, and fastest connection speeds (5GHz) across NYU’s global locations. Ensure that the nyu network profile is at the top of your known/configured networks and that no other NYURoam-related networks are defined on your device. Instructions for connecting to the nyu SSID can be found in NYU’s ServiceLink knowledge base. NYURoam’s core SSID, nyu, is configured to provide a 5GHz connection and therefore can only connect on the 5GHz frequency. In some cases, manufacturers elect not to install dual-band radios in their devices. If you have attempted unsuccessfully to connect to nyu or cannot find the network, it may be because your device contains a 2.4GHz radio. In order to assure NYURoam connection for these devices, the nyu-legacy SSID was created. To connect to nyu-legacy, follow the exact same instructions as you would use to connect your device to the nyu network, but enter nyu-legacy as the network name instead of nyu. As an important reminder, if you can use the nyu SSID, you should. You will experience better wireless performance. If your device shows both nyu and nyu-legacy as options, follow the instructions below to “forget” the nyu-legacy network (especially if you have an Apple device, which should never use nyu-legacy). This is the only way to ensure your device doesn’t automatically connect to the wrong SSID and provide you with less-reliable performance. nyuguest is a wireless network made available to NYU guests and visitors who do not have an NYU NetID and thus cannot connect to the regular NYURoam nyu SSID. If you are an NYU community member, you should always connect to nyu instead of requesting guest access. nyuguest is designed for short-term visitors or events and requires faculty or staff sponsorship. For longer-term guests and contractors, sponsors should instead obtain affiliate NetIDs so they can use the nyu SSID. Residents of NYU residence halls in New York can register a game console and/or digital media device (such as smart TVs or Roku) for use on the wireless nyu-media network. If you have a wireless-capable device that does not support the WPA2 Enterprise protocol used by the main nyu or nyu-legacy networks, then you should follow the nyu-media instructions. Please note that nyu-media is a less secure method of connection than the more robust nyu. Eduroam is a global academic network that enables someone from one member university to authenticate on another member university’s wireless network using their own, home credentials. Eduroam is a valuable resource for traveling academics and visitors who want to connect to NYU’s network but are not in a position to apply for and await the assignment of a guest NYU NetID and password. The eduroam SSID should only be used at other universities; not by NYU community members at an NYU location (including the University’s global sites). If you have previously connected to eduroam, you may find that, once you are back at NYU, your device is still connecting to the eduroam SSID when it should be using nyu. To remedy this, see “Forgetting an SSID” below. If your wireless connection seems slow, or if you find yourself frequently losing your connection, your first step should be verifying the SSID to which your device is connected. You can accomplish this by going into your device’s Settings screen and choosing to review your Wi-Fi settings (the process varies by device). The SSID to which you are connected should appear at the top of a list, followed by other available networks. If your device is compatible with the nyu SSID, that is the one to which you should be connected; all other NYU SSIDs should be removed (see below). In some cases, you may have previously connected to a network that is not the best-suited for your current device or location. Unfortunately, smart devices such as phones, computers, tablets, and other mobile devices do not employ sophisticated measures to determine which network to which they should connect. They grab the first one available. This means that, for example, if your phone has been configured to connect to both nyu and nyu-legacy, it may connect to the slower of the two, or if you have previously used the Eduroam network, it may latch onto that SSID instead of nyu, even when nyu provides better service. It may even connect to previously used wireless networks outside of NYURoam, such as a nearby coffee shop or public access wifi if they are within range. This behavior can prove frustrating at times and impact the quality and speed of your connection. In order to be certain that your device is connected to the optimal SSID, it’s necessary to “forget” other SSIDs. For most devices, this is accomplished simply by clicking or tapping the SSID and, in the alert box that appears, selecting Forget. Once you’ve done so, your device will no longer seek to automatically connect to that network. It will still appear in the list of available SSIDs, and you can still connect to it in the future if the need arises. You can also avoid unexpected connections to the wrong SSID by deselecting Auto reconnect or setting your device to always ask before joining a network. Make sure you are using NYURoam Wireless, not your cellular network. Because devices will often switch without warning from one network to another, it may be attempting to use your carrier’s cell network in an area where cell reception is weak. Make sure it’s not the page or app that is running slow. One of the most common issues mistaken for a slow wireless connection is actually a slow-loading web page or app. Try quitting and reloading the page or app, or see “Run a speed test,” below. Make sure you are in an NYURoam-enabled location. Areas covered by NYURoam provide the best speeds and reliability, but because of the nature of wireless radio signals, you may be able to connect to NYURoam outside of a designated area (such as on the street outside of a building with NYURoam). In these cases, incidental coverage outside of the designated space may be unreliable. Run a speed test. If you are unsure whether slow speed is caused by your wireless connection or another factor such as an app or device hardware, you can run a network speed test. Update your drivers. Drivers are part of your laptop’s or mobile device’s operating system (OS) that enable the OS to communicate with hardware such as the device’s wireless card. Out-of-date drivers can result in degraded performance, including a slow network connection. The process for updating drivers varies from device to device; check the manufacturer’s website for more information. Mac OS updates can cause temporary unpredictability. Major OS updates can sometimes be rolled out without having been fully tested on common wireless equipment, resulting in a potentially unstable wifi connection. When a new Mac OS is released, consider waiting until the first update patch is released before installing it on your computer.